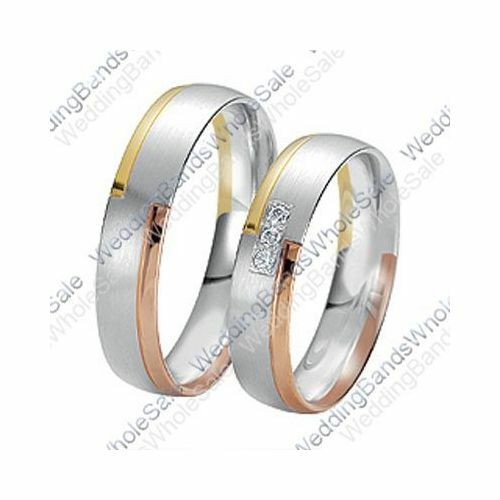 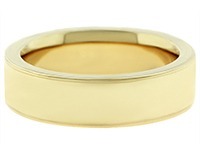 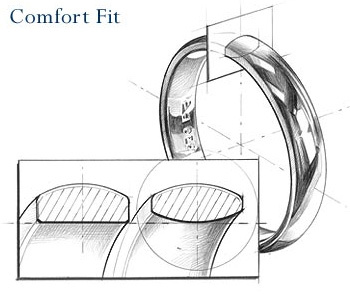 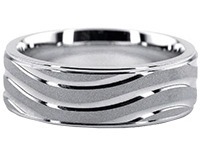 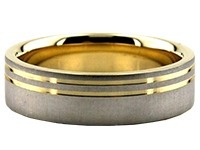 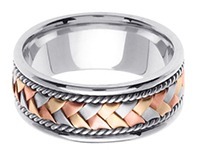 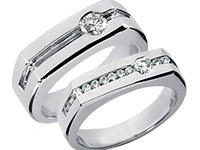 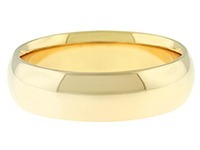 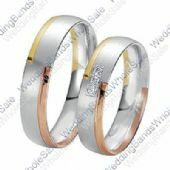 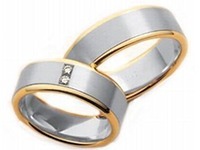 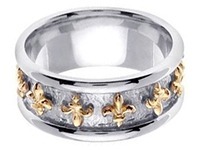 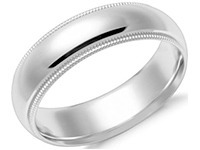 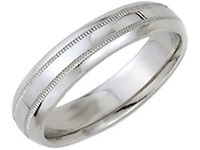 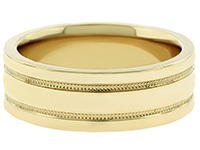 These beautiful wedding bands feature a low dome shape in a satin finish with one yellow gold edging design on one end of the band that goes partially around and one rose gold edging design on the other end that goes partially around. 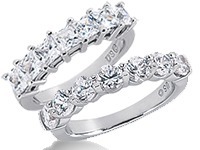 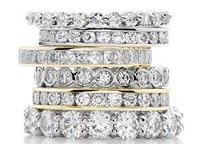 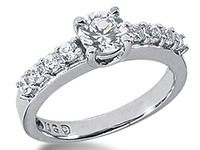 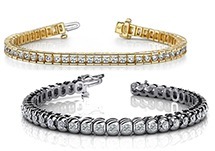 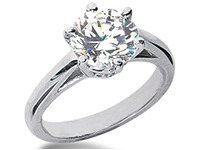 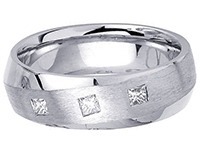 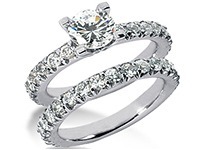 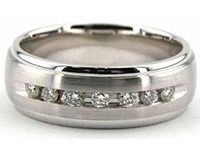 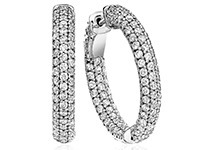 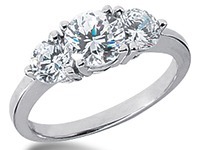 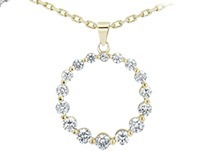 HER band features three round brilliant diamonds in a pave setting strategically placed along the center of the band. 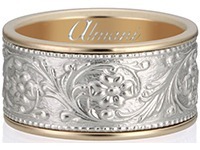 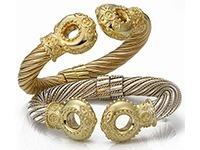 This unique design exemplifies a beautiful display of affection for you and your loved one.